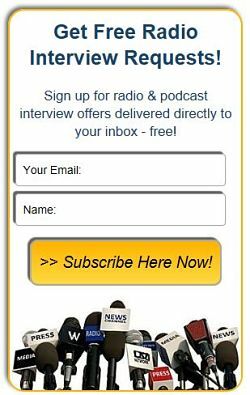 Gerald J. Leonard, Corporate Culture Author and Musician - Radio Guest List.com - How to Get Radio Interviews and Find Podcast Guests! Gerald Leonard is the author of Culture Is The Bass: 7 Principles for Developing A Culture That Works, and he helps organizations "Develop a Culture That Works." Gerald works with organizations and individuals to deliver the right projects the right way and improve performance and profits. He helps them to grow their people to deliver better customer experiences and results. Gerald's 7 principles for developing a culture that works is an insightful and unique way of combining the author’s experience and expertise as a professional musician and certified Portfolio Management Professional (PfMP) to help transform his clients' cultures. His specialty is identifying how everyday companies fail to compete in the market and grow because of a Poor Project Portfolio Management culture (and that every company has one). His book, Culture Is The Bass: 7 Principles For Developing A Culture That Works, walks readers through how organizations can achieve balance, harmony, or a unified vision where everyone understands the big picture and is not buried in their own processes. Gerald brings a unique perspective combining his experience and expertise as a professional musician and a certified Portfolio Management Professional (PfMP & PMP), helping transform over 25 organizations to implement a strategy execution culture that works. Since joining the National Speakers Association, Gerald has performed on the main stage with Joey Cook from American Idol and performed with the NSA All Star Band. His book has been endorsed by Shep Hyken, Mitzi Perdue, and Dr. Shirley Davis. How did you get started in consulting on organizational culture, and what do you think has made you successful throughout your career? What do you think is poorly understood or unresolved about improving the performance of companies and individuals? Why is this so? What do you see as the main challenge among those who work on corporate culture and related strategies? What challenges have you helped customers overcome recently? What trends do you see in business cultures and performance improvement consulting? Gerald attended Central State University in Ohio where he received his Bachelor in Music degree, and later earned a Masters in Music for classical bass from the Cincinnati Conservatory of Music. After graduation Gerald moved to New York City where he worked as a professional bassist and studied with the late David Walters, distinguished professor of double bass at both the Juilliard and Manhattan schools of music. During the last 20+ years he has worked as an IT Project Management consultant and earned his PfMP, PMP, MCSE, MCTS, CQIA, COBIT Foundation, and ITIL foundation certifications. He has also acquired certifications in Project Management and Business Intelligence from the University of California, Berkeley, Theory of Constraints Portfolio Management Technical Expert from the Goldratt Institute, Hoshin Kanri with Karen Roberts, as well as an Executive Leadership Certification from Cornell University.